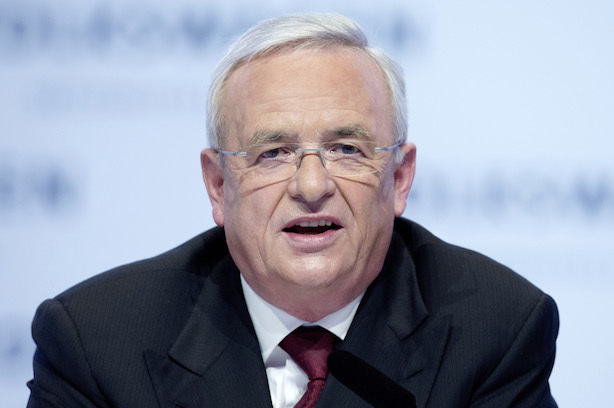 Martin Winterkorn has been charged over his involvement in the company’s diesel emissions scandal. The public prosecutor in Braunschweig charged former Volkswagen CEO Martin Winterkorn and four other managers with alleged fraud. Volkswagen stated it would not discuss the indictments. Winterkorn is currently facing criminal charges in the US, but is not likely to face trial, as Germany does not extradite its citizens. The 71-year-old resigned following the scandal, which emerged in September 2015. In a statement, prosecutors alleged Winterkorn of a “particularly serious” fraud, along with a violation of competition laws. They stated Winterkorn should have cautioned car owners and officials in Europe and the US about the manipulation of diesel emissions tests quicker. They also alleged him of approving a “useless” software update styled to conceal the correct reason for the cars’ higher emission levels. Prosecutors did not state the other four senior managers who have been charged as well. VW first confessed in September 2015 that it had utilized illegal software to cheat US emissions tests. The devices, which permitted vehicles to perform better in test conditions than they did on the road, were set up on nearly 600,000 vehicles sold in the US from 2009 through 2015 and millions more worldwide. They came to light following a study of emissions by researchers at West Virginia University in the US. The scandal resulted in investigations in Germany and other nations. To date, it has cost Volkswagen approximately $31 billion. Last month, the US Securities and Exchange Commission (SEC) sued Volkswagen and Winterkorn, accusing the automaker of “massive fraud” over the emissions scandal. The SEC claims the firm misled investors by releasing billions of dollars worth of bonds and securities, without revealing that it had cheated emissions tests. The company stated it would contest the SEC lawsuit vigorously. VW’s present CEO Herbert Diess informed the BBC he believed the company was “over the worst” of the Dieselgate fallout, but stated that it still had to win back the confidence of its clients.